Ann, the owner of Pedego Vancouver, and Colin. Pedego Vancouver has opened its doors on West 4th Avenue, near Kitsilano and Jericho Beaches and a stone’s throw from the city’s famous Seawall cycleway. The location is perfect for renting and selling electric bikes, though it was chosen simply because it is Ann MacLennan’s home. Ann had her fair share of travel and adventure before she decided to open an electric bike store in the neighbourhood where she grew up. 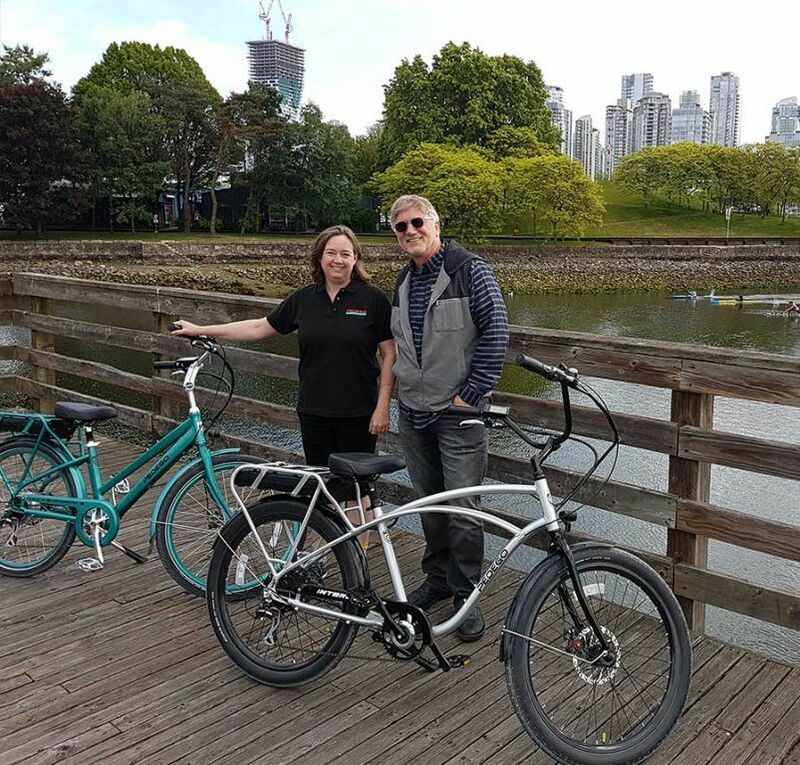 It may not be as exotic as her sailboat, island cabin or base camps, but in Pedego Vancouver Ann has found a whole new adventure. Hi Ann. 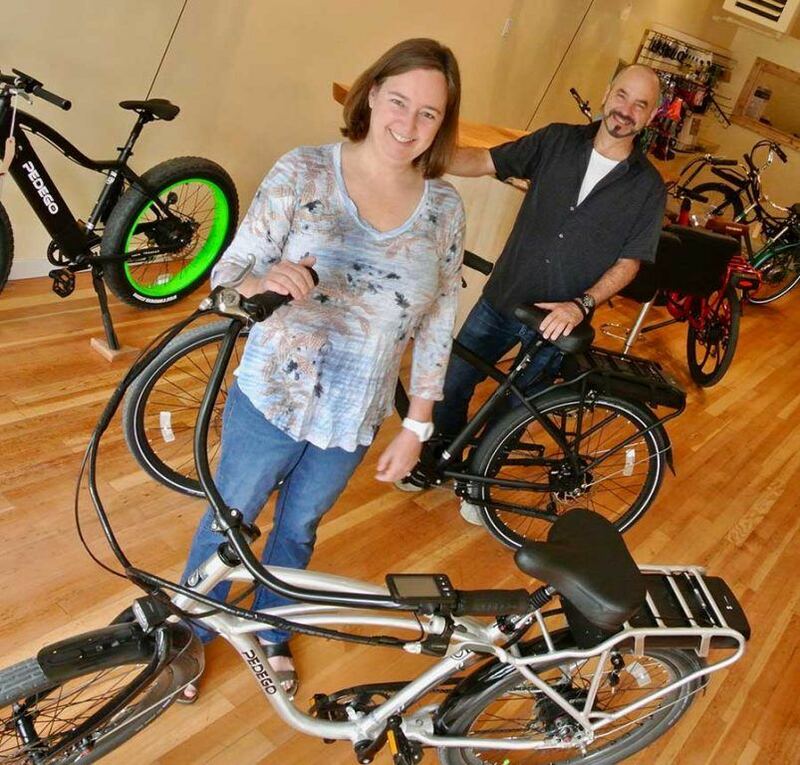 Why did you decide to open a Pedego Electric Bikes store? 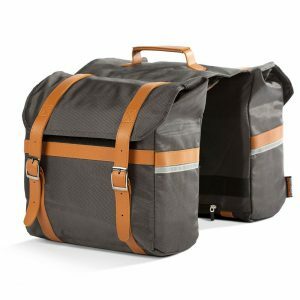 Initially I wanted to start an electric bike adventure touring business. But when I told anyone about my plans, they told me they wanted to buy an electric bike for themselves. I thought why not sell electric bikes instead of tours? It felt like a no brainer. There are plenty of brands of ebikes out there, why Pedego? My neighbours have two Pedegos. I took one for a ride and I was completely blown away. Soon afterwards I rented an electric bike to tour the Gulf Islands, which I didn’t like half as much. 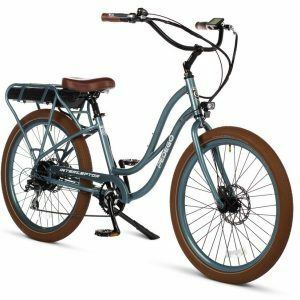 I kept trying other brands of electric bicycles before realizing that it’s Pedego, period. Vancouver is a large city with lots of cool neighbourhoods, why West 4th? I grew up ten minutes away from the store. My 17-year-old son goes to school five minutes from Pedego Vancouver. The neighbourhood is full of my old friends and family. Pedego Vancouver is just like a big family home: warm, welcoming and comfortable. I want to give every person who walks in the door access to the kind of fun possible on a Pedego Electric Bike, whether they can rent, take a tour or take one home. Ann with Pedego CEO Don Dicostanzo in Vancouver. What is the surrounding area like for biking? There is breathtaking scenery in Vancouver. The north shore mountains (themselves a mountain biking mecca) and the Salish Sea are the backdrop to a city jampacked with attractions. Kitsilano, Jericho and Wreck beaches are nearby, and the seawall that takes you through False Creek, Granville Island and around Stanley Park with its old growth trees and totem poles. As well as urban paved routes, there are dirt and gravel trails nearby in Pacific Spirit Park. There are museums, art galleries, breweries, restaurants, pubs, markets, great architecture, parks and lakes. It’s a great city for bike riding and there is a huge variety of cycling options. And the weather helps, with cyclists riding all year round. You like variety don’t you? Tell us some of your crazy adventures. After graduating I moved to Australia to be a professional synchronized swimmer. I performed before thousands of spectators at the Expo 88 Aquacade Show. I was a sea kayak expedition guide and base camp leader in the Artic, Belize and Haida Gwaii. In Haida Gwaii I spent six years living in a cabin on a beach. Then I moved into a 37-foot sailboat. At this point I really could have used a folding electric bike. Instead I would put my mountain bike in my rowboat and take it to shore. After a few years living on the boat and sailing around the Coast, I returned to Vancouver with my son, Logan. I designed infant gortex suits and outerwear for babies– there was a real lack of outdoor clothes for babies at the time. After a few years of that, I decided I wanted to learn a trade and became a red seal plumber. After 10 years installing plumbing in new apartment buildings across Vancouver, I was happy to quit this to open a Pedego Electric Bike store. It’s much more fun. What can we expect to see at Pedego Vancouver? The world’s best electric bicycles! You can also expect to meet Colin (Hickie). He was my assistant for years as a tree planting cook, and he’s come home from 14 years abroad to work with me again. Colin and I have travelled all over the world, and we always have fun. We want our customers to have this much fun and make every bike ride an adventure. It would be a hummingbird. The hummingbird is lightness and joy, and despite its small size it still amazes us with what it can do.